If we purchase a vehicle either equipment or electronic devices is usually has a Manual. If a user finds a problem in using the equipment, usually user can find a solution in the manual book. The Frequently Asked Question (FAQ) are found in the manual. 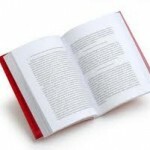 The Manual has printed in detail as possible to help user to help to solve the problem. In this life we also often have a problem. If you loose your spirit, lost in control or you have realized that you want to make your life get better, but you can not find it. The final question is, can you find the Manual of Your Life? Decide it now, have the Manual for your Life.